GOOGLE’s DRIVERLESS CARS will be programmed to exceed speed limits by up to 16km/h if it turns out to be the safest option. Speaking to Reuters, the project’s lead software engineer, Dmitri Dolgov, said that while Google’s driverless car is programmed to stay within the speed limit, it can exceed it by 16km/h if it’s the best course of action. The logic is that if surrounding vehicles are breaking the speed limit, going slower could present a danger so the car would accelerate to keep up. Dolgov also said there was ‘ethical issues’ that need to be addressed before they’re officially allowed on the road. Should a car try to protect its occupants at the expense of hitting pedestrians?” Gerdes asks. “And will we accept it when machines make mistakes, even if they make far fewer mistakes than humans? We can significantly reduce risk, but I don’t think we can drive it to zero. Earlier this year, Google announced that it would be building its own self-driving cars, which seats two people and has a top speed of 40 km/h. 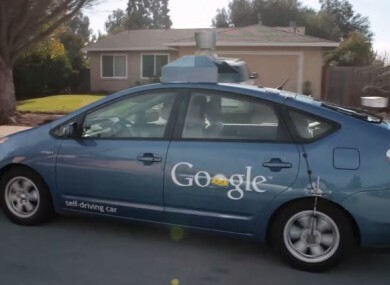 Google plans to build 100 prototype vehicles and test early versions with manual controls. Before that, the company had use modified cars from other manufacturers to test out its technology. Email “Google's driverless cars will be allowed to speed if it's the safest option”. Feedback on “Google's driverless cars will be allowed to speed if it's the safest option”.